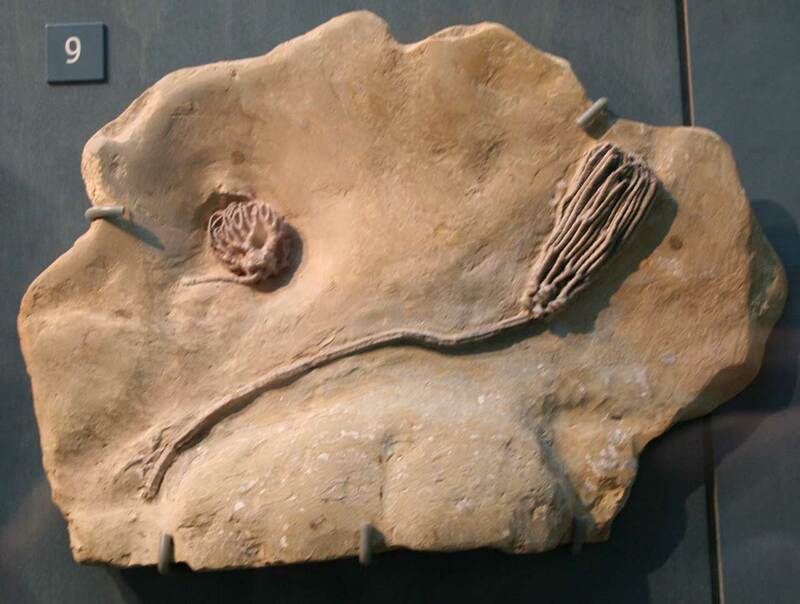 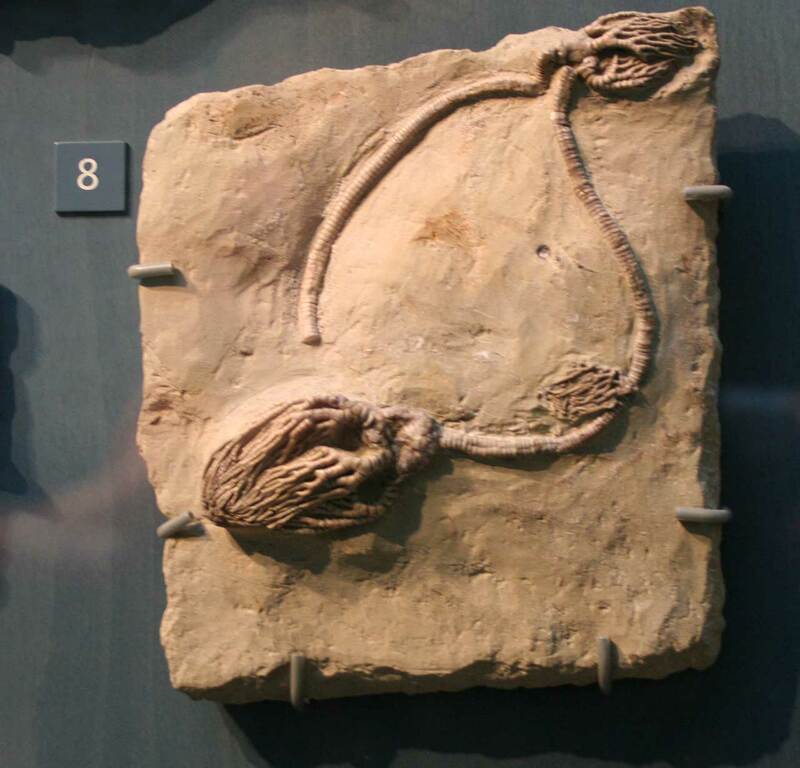 If Indiana is known for a particular fossil, it has got to be the crinoids of Crawfordsville. 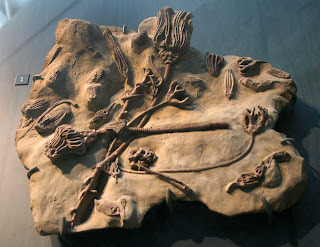 These prepped plates are on display on the first floor of the Indiana State Museum (October 2010). 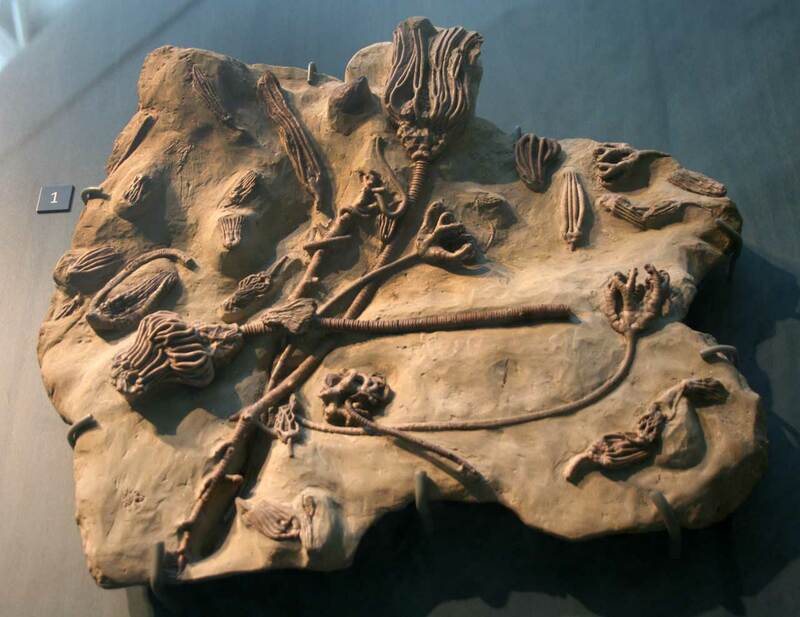 Animals existed in the Mississippian Period.